I went to El Jem, Tunisia, just because it was included in the programme, arranged by the travel agency. 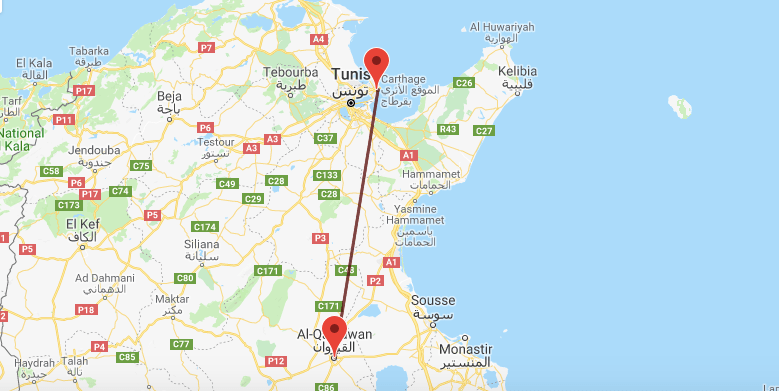 My departure point was city of Sousse (the third most populated city in Tunisia), where our group was originally accommodated for a week stay. I had no high expectations of the day trip to El Jem. It was supposed to be just a regular Tunisian sightseeing visit, so my idea was to welcome everything along the journey, to enjoy the surroundings and to soak the upcoming historical information. When I arrived there, though, I was unable to trust my eyes. Suddenly, I realised how ignorant I was. I saw a stunning, well preserved colosseum, which looked much better than the Roman one, also much approachable and authentic. Till that moment, I had no clue about the existence of other ancient amphitheatres, except the one in Rome, Italy. I was somehow convinced the amphitheatre in Rome, where the gladiators’ fights were held, was unique, perfect and exceptional. But obviously it was not. 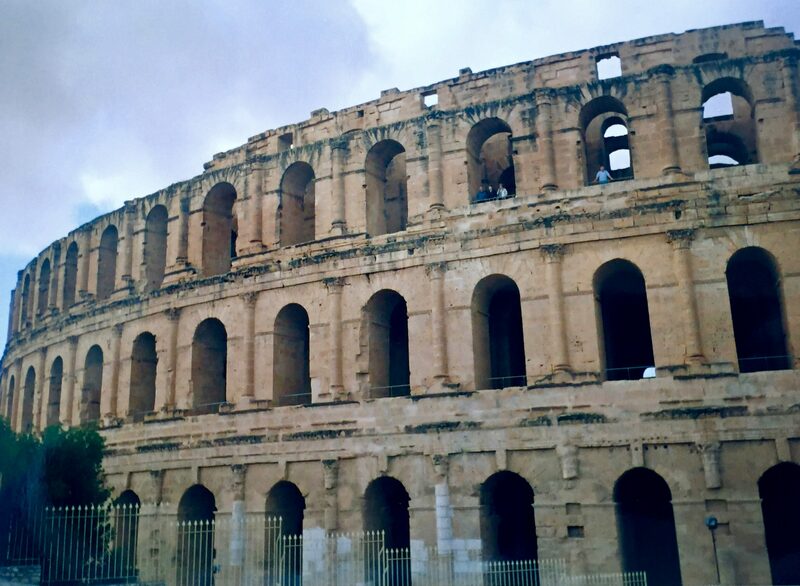 The colosseum in El Jem, East Tunisia, was beyond my expectations. 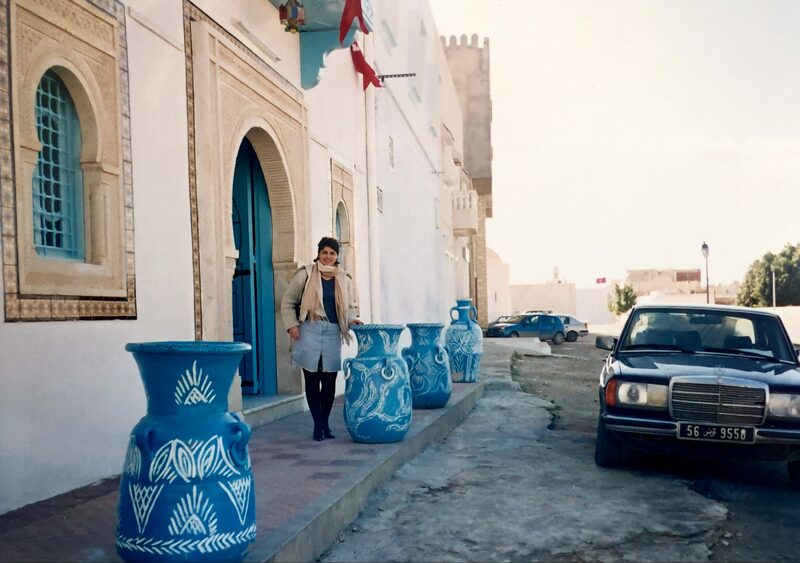 It was my first trip to Tunisia, dedicated to the history and peculiarities of the country. Later on, I came to Tunisia twice, but for a lazy beach holiday in a luxury resort on Djerba island and in Zarzis. 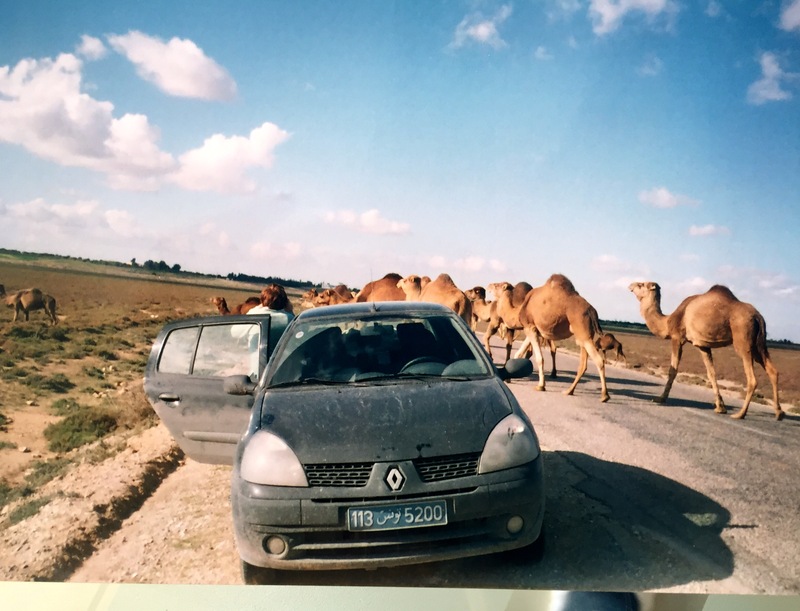 So, definitely my first Tunisian journey remains more remarkable and memorable to me. El Jem is actually the local Tunisian name of the ancient Roman town, known as Thysdrus. Part of the Roman Empire, it was the second most important city, after Carthage (near the actual capital of Tunisia, Tunis). 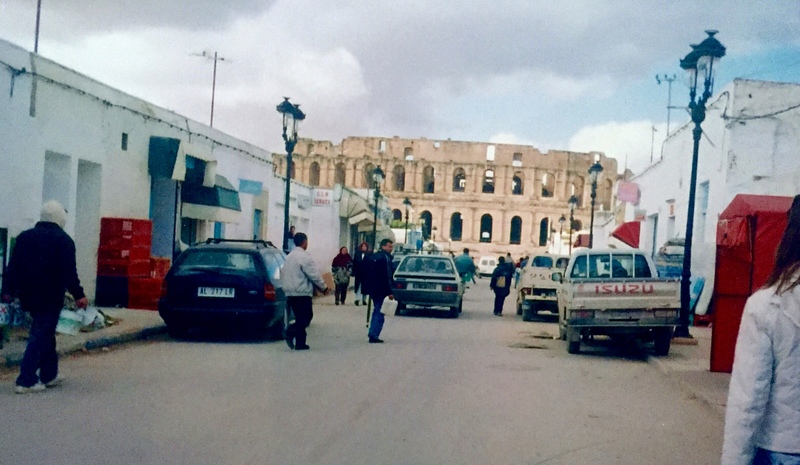 The amphitheatre of El Jem is about an hour drive South of the city of Sousse. The road was fairly flat and comfortable, with nearly deserted background, some low bushes and dry bunches of grass. The ochre colour was everywhere – from the soil tones, through the rare plants to the archaic constructions. If I should compare, it looked even more yellow than Egypt, where the sandstone makes the scenery shiny and radiant. Along the road to El Jem lots of camel herds could be seen. They can cross the road at any moment, that’s why a lot of traffic signs warn the drivers about the potential danger. It’s practically impossible to drive fast, not only because of the crossing animals. The road is covered by plenty of speed limiting artificial bumps. Driving fast forces your car stumbling and jumping, which prevents the high speed and the potential accidents. The first view of El Jem colosseum was mind blowing. It popped up at the end of the street, standing tall and monumental. It’s nearly an authentic copy of the amphitheatre in Rome, but a bit smaller. The Roman one was able to hold about 50 000 spectators, while the one in Tunisia was built for 35 000. El Jem is the only exciting fully preserved colosseum in Africa at present. Built in 3 AD, it still holds the smell of fear. The construction keeps the cells of the gladiators, along with the ones for the wild beasts. Expectedly, my first association was with the movie Gladiator, where Russell Crow is starring the main character Maximus. Being on site, I was absolutely sure the African part of the story was filmed here, in El Jem. It looked so…Roman and similar to the seen in the movie. But surprisingly, later I found, the Gladiator movie has never been shot in Tunisia. The North African years of Maximus life story, when he was sold and enslaved, were actually filmed in Morocco, where an artificial replica of a colosseum was built. The Roman scenes of the story were neither shot in Rome. Another Roman decor was built in Malta, specially for the movie episodes in Rome. To be honest, I was disappointed of the discovery. 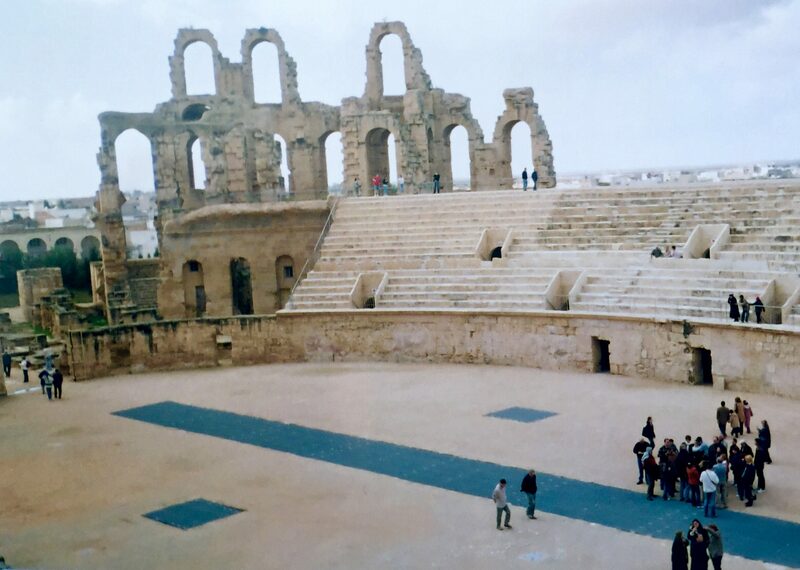 Probably, El Jem was at least the inspiration for the Nortn African gladiators fight scenes in the movie, because there is no other amphitheatre left in Africa. By the way, did you know there are 7 ancient amphitheatres remaining in the entire world. Expectedly, most of them are in Italy – three altogether, in Verona, Rome and Naples. Two in France – Nimes and Arles. One can be discovered in Croatia. And the seventh one is in El Jem, Tunisia. 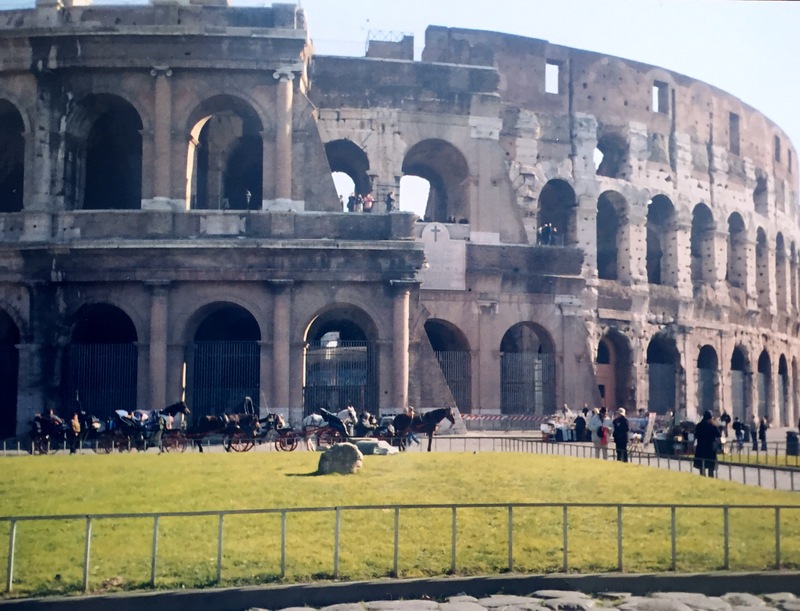 They all were built between 1 BC and 3 AD, when the apogee of the gladiator’s era took place. 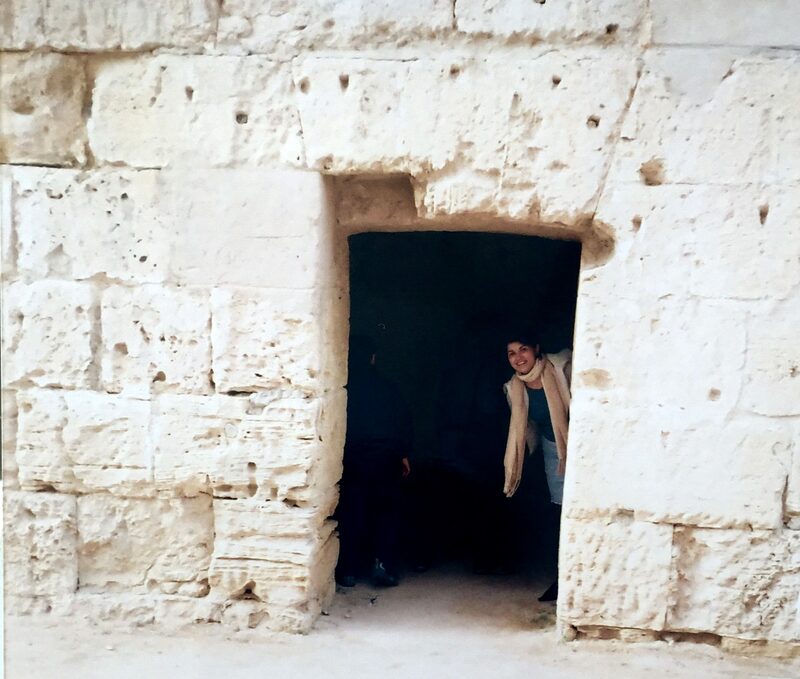 Going North West of El Jem, I made about 6-7 century jump to another historical time – from the gladiators to the pilgrimage. 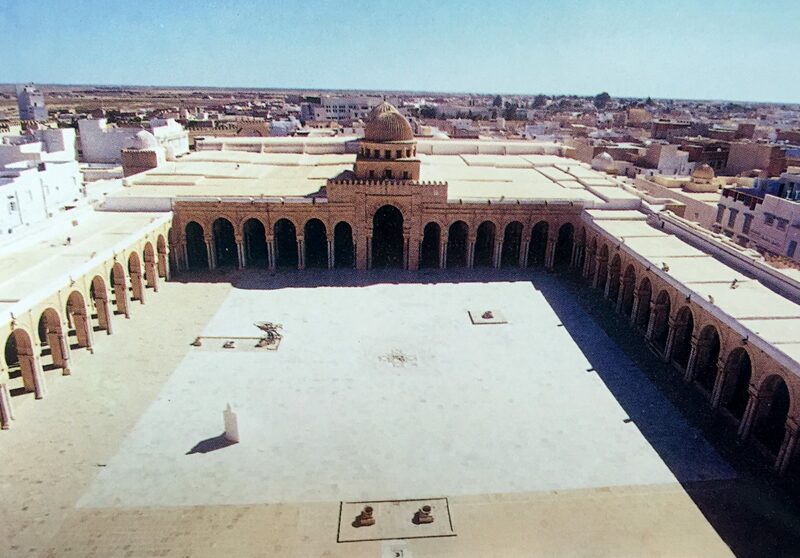 In the inland desert of Tunisia is located the most important sight for Muslims in Africa – the Great Mosque of Kairouan. I was told seven pilgrimages to Kairouan are considered equal to one to Mecca. The columns in the mosque were made from marble, granite and porphyry. There is a local story that the ground of the mosque and those columns, were assembled by stones and remains of more ancient, but already demolished buildings. The material for the mosque, was delivered in the 9th century, from the ruins of Carthage, which is about 130 km away. While Kairouan is more less in the desert, Carthage is nearby the actual capital of the country, Tunis, on the shore of the Mediterranean sea. Carthage was destroyed about 100 years BC. By my calculation, about 1000 years divide both structures – in Kairouan and in Carthage. The city of Kairouan, currently hosts about 180 000 residents. It’s also a very popular gathering point for desert safaris. 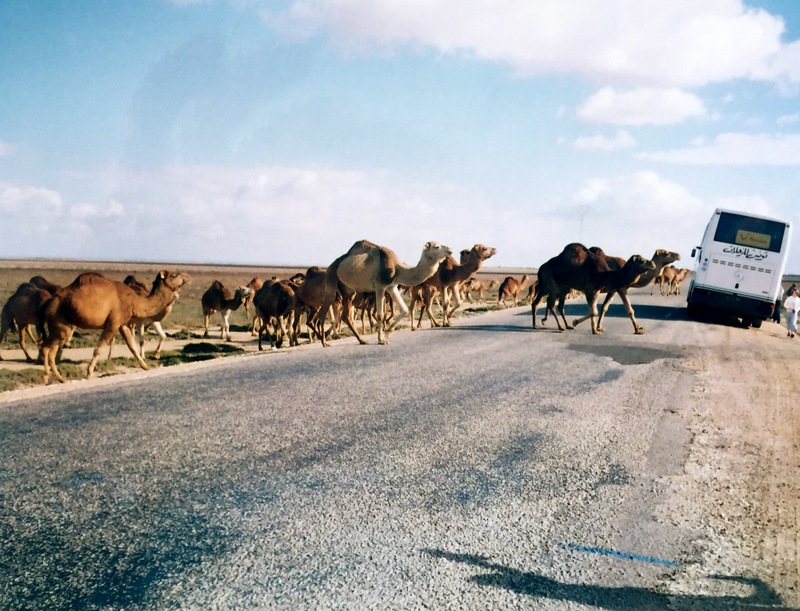 The most popular offer is a jeep safari to Douz, the southernmost city of Tunisia, where the famous camel treks start from. 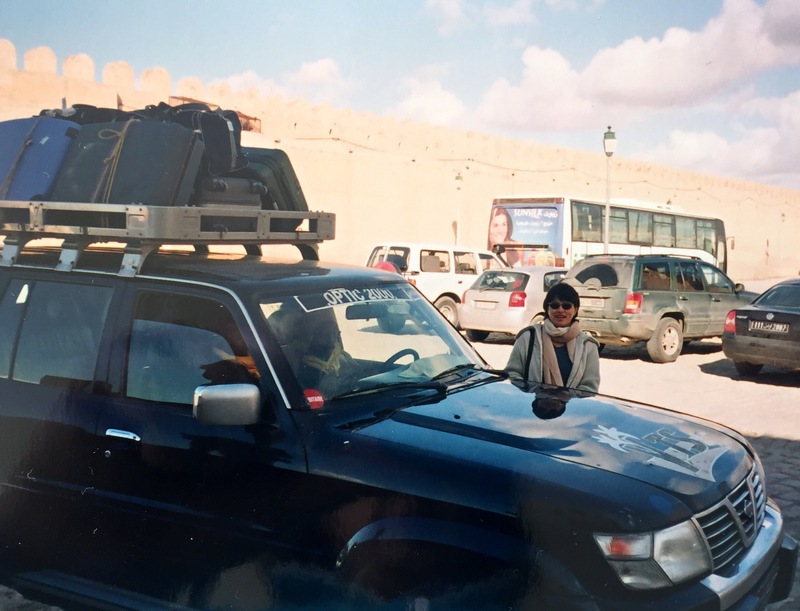 Fully equipped SUVs are waiting in Kairouan, ready to pick the clients and to transfer them to the sandy dunes of the South. The road trip takes about 5 hours. The price depends on the negotiation skills of the customer and could vary between 60 to 100 USD. I was told on site, it’s also possible to run the distance by bus. That journey, though, would take about 12 hours. The ticket price per person is about 20 USD. Some foreign tourists, who already completed the distance by bus, claim it’s worth it, because you can see much more and could enjoy unexpected events along the road trip, which they consider highly inspiring and exciting. Still in Kairouan, the tourists are surrounded by lots of amateur merchants, who try to sell some dry dates, saffron and other local spices. I can’t be 100% sure, but my intuition advises not to buy any items from the street amateurs, firstly – because the quality is not guaranteed and especially the saffron could be fake. Secondly – the price of the spices and the dry fruits is speculatively higher, than at the local markets. Be aware, the Tunisian market is overloaded by dry dates production, so they are expected to cost really cheap. The camel trek itself took minimum two days, with a departure point at Douz. Crossing Sahara desert on a camel back is an incomparable experience. The tour includes meals, drinks, guides, desert tents, while resting and some entertainment. In addition, in the programme are also arranged visits to quite authentic Berber villages, bedouin traditional dining and wood fire camps in the heart of the desert. If you don’t like the heat, the sand and the silence, the camel trek is not for you. But if you are bewitched by the desert like I am, if you don’t mind the slowly shake of the camel ride and a horizon, filled of sandy dunes, then you are definitely going to enjoy the trek. 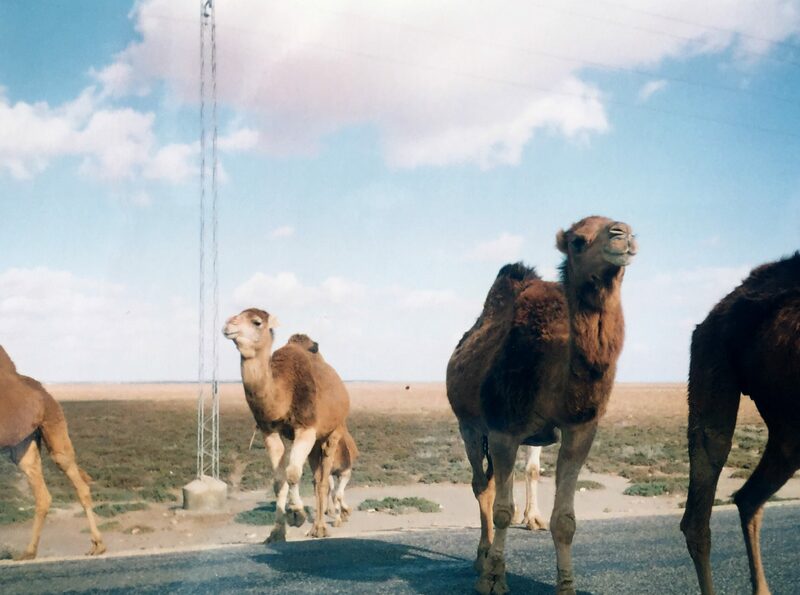 I would highly recommend to go to this camel trip, equipped with a backpack, dressed in comfortable trousers, shirt (long sleeve) and flat shoes (light sneakers preferably). Scarfs are much better than hats. Do not forget a reliable sunscreen and sunglasses. The night rest is provided by sleeping bags, often under the starry sky. Depending on the agenda and the personal tour preferences, a couple of days camel trek package could be negotiated between 260 and 300 USD per person.